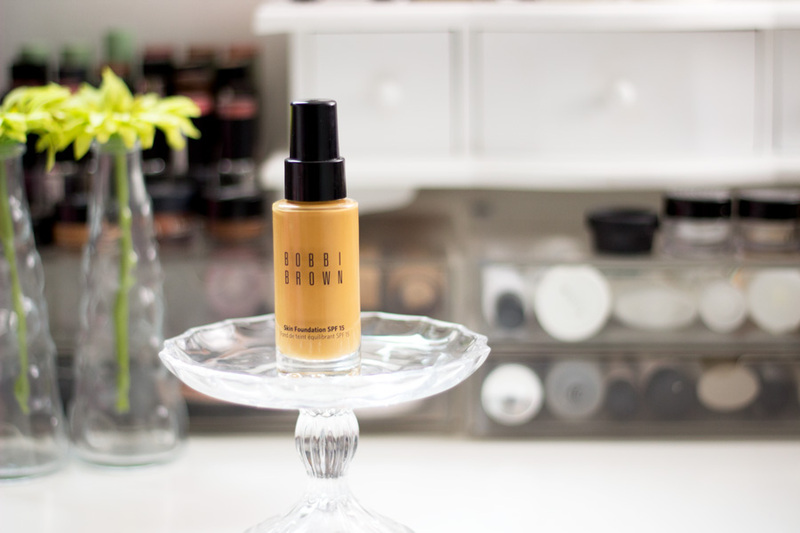 I started off by pairing the Kuddy Mattifying Primer with the Makeup Forever HD Foundation because it helps control shine which I sometimes get towards the end of the day . 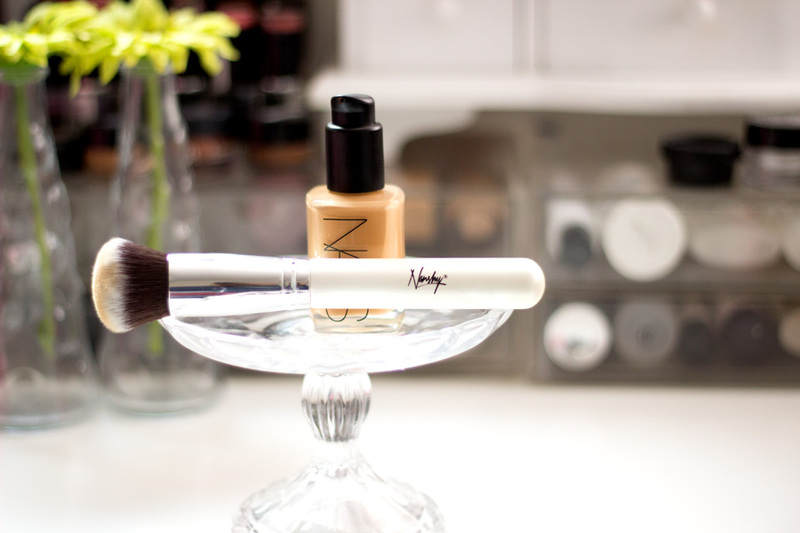 I really love the MUFE HD Foundation but I find that these days it makes my T-Zone get shinier than normal. Of course, I had to use my Revlon Color Stay Concealer which is light weight and conceals any under eye dark circles from late nights. 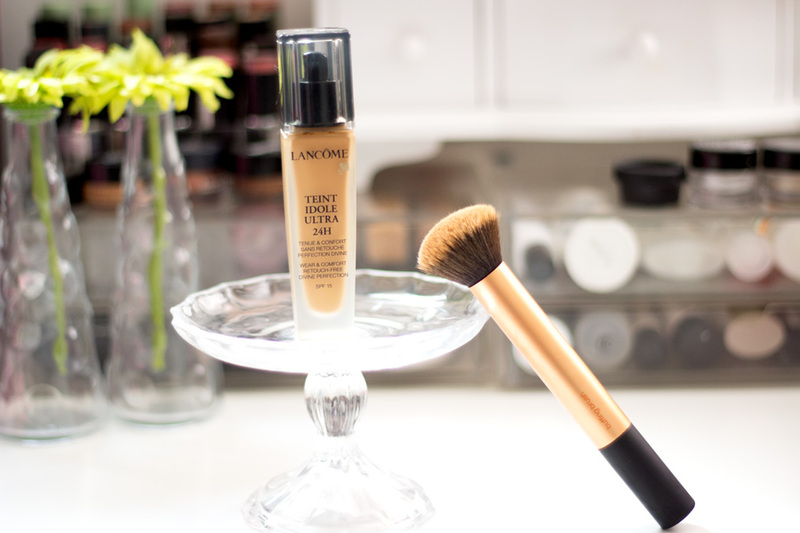 The L'Oreal True Match Concealer took care of my blemishes and I love it because it always delivers good results. 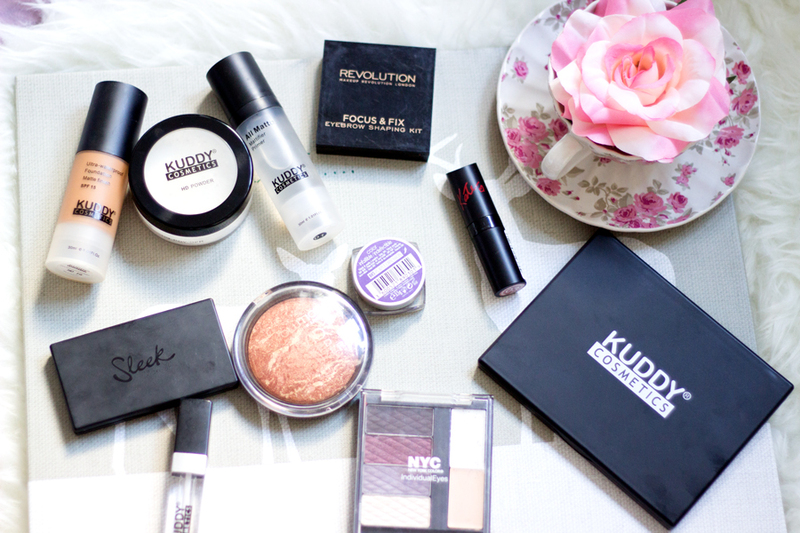 I used the MAC MSF to set everything in place and the Kuddy HD Powder to finish everything off. For my eyes, I unearthed the MAC Dashing Lassie Eyeshadow Palette which my lovely sister gave me a while ago. 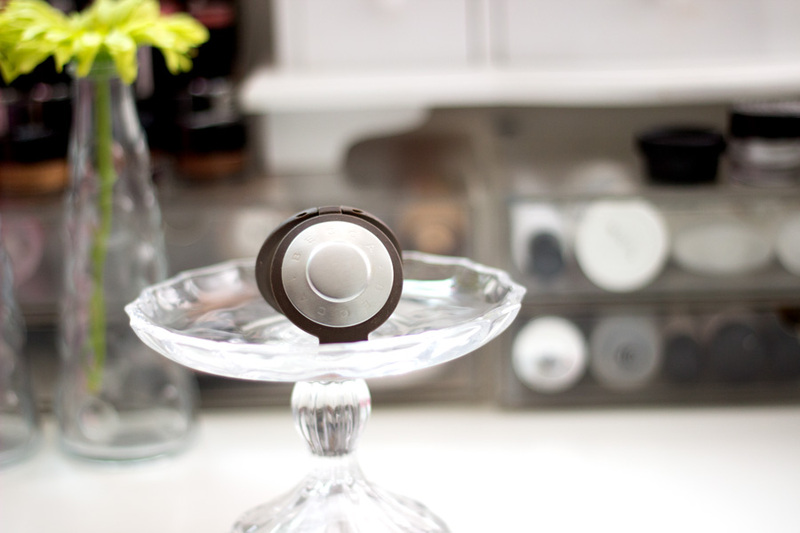 It is ideal for an everyday bronzey look and I used the Sleek Sahara Blush for my crease to add some warmth to the bronzey look. I decided to go a lil' crazy with my Blush and I used the Kuddy Blush Crush Palette which is seriously pigmented (I used it quite a lot this month). For Lips, I used my favourite pink lipstick- MAC Love Lorn and topped it off with Maybelline Color Sensational Lip Gloss in Fuchsia Flash. I had a work conference/seminar to attend in Cavendish Square and it was an all day event so I knew it was time to bring out the big guns. I don't mind using drug store products for everyday/work days but sometimes, I need something long lasting. 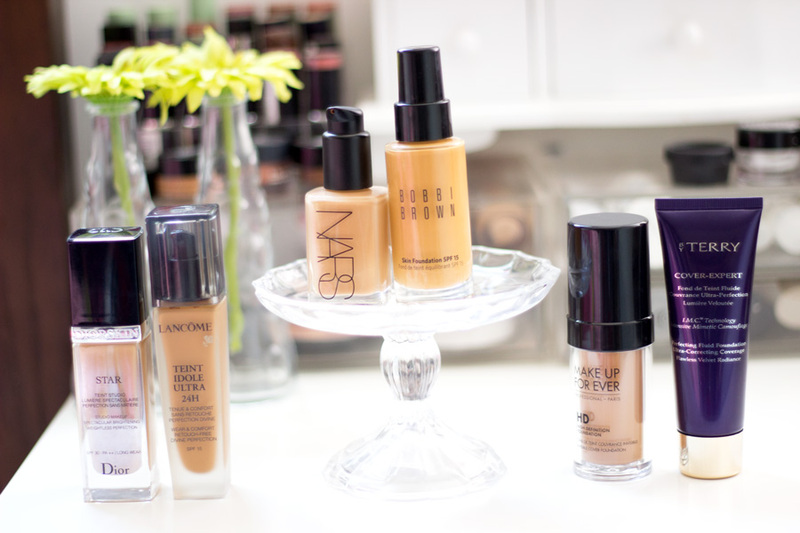 I started out with the Laura Mercier Foundation Primer to ensure my foundation lasted all day. 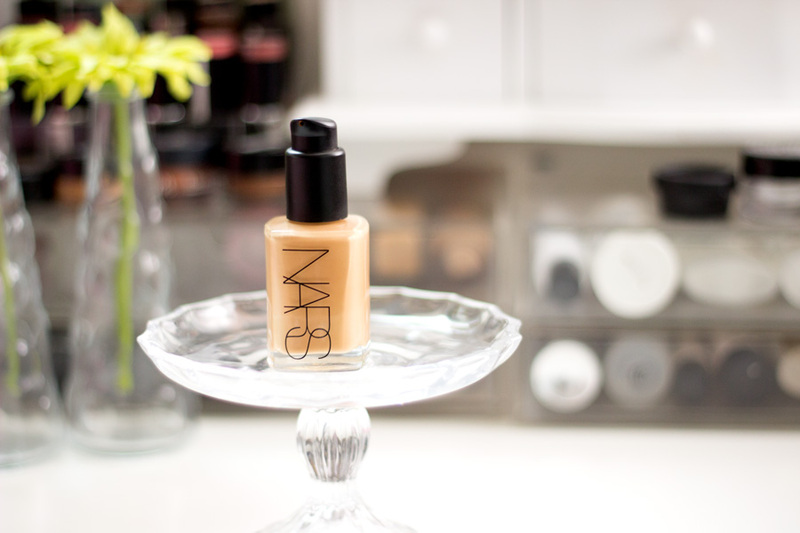 Of course, the NARS Sheer Glow Foundation had to be used as it is very long lasting. I used three concealers today which is a bit crazy. 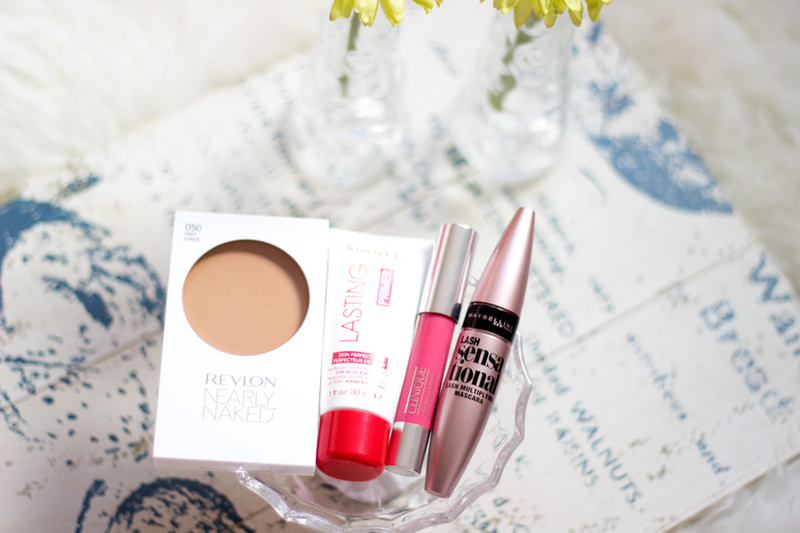 I started off with the Revlon Color Stay Concealer for under my eyes because it is my favourite. 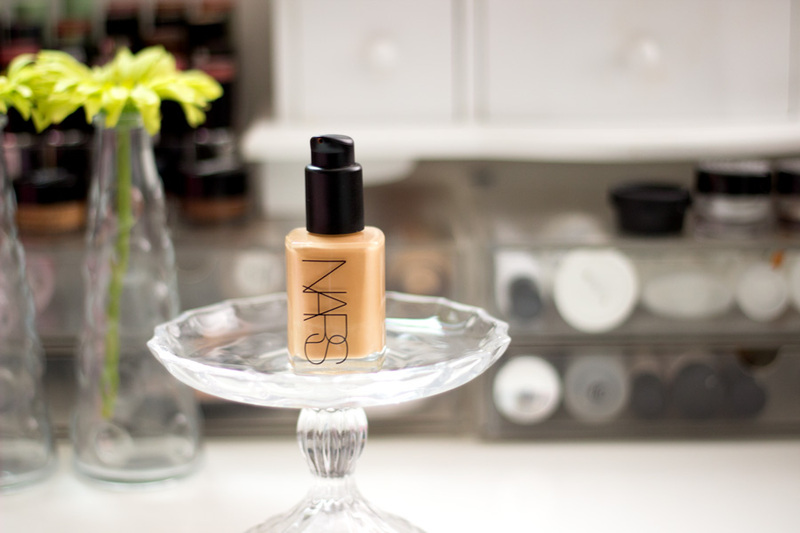 The NARS Radiant Creamy Concealer in Caramel was used to highlight and the shade Amande was used for some of my dark blemishes. 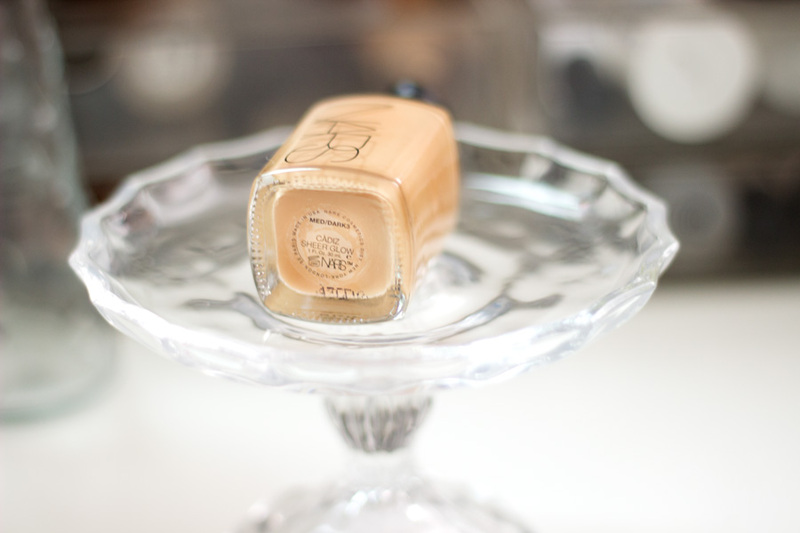 I set everything with my Chanel Les Beige Healthy Glow Powder which always looks amazing. I have hit pan already but I am not ready to repurchase another one just yet. I never do a heavy contour because I have not mastered the technique. I prefer a light/soft one because it looks more natural and the Sleek Face Form helps me achieve this. For my eyes, I went all the way. I started off with the Maybelline Color Tattoo in Pink Gold as a base, then layered it with Light Pink from the Lorac Palette. For my Crease, I opted for Taupe in the Lorac Palette and Sable for my outer V. I blended everything out for a softer look and lined my eyes with the L'Oreal Super Slim Eye Liner (my fav). For my Lips, I shopped my stash and found the Clinique All Heart Lipstick and topped it off with the Maybelline Color Sensational Lip Gloss in Grenadine. I didn't use the pink blush in the picture and I opted for the Bronzey Blush in the Sleek Face Form instead because I didn't want to look too made up. I feel like towards the end of the week I can go wild with colour. I opted for various shades of purple today because I love purple. I actually used a lot of Kuddy Cosmetics today because it is one of my favourite Nigerian Makeup Brands. I am sure that's not news because they have been featured on here several times. I started off with the Kuddy Cosmetics Mattifying Primer* and blended in my Kuddy Cosmetics Foundation which is now almost finished. Sad times! However, it has lasted me for almost a year. I set everything with the Kuddy HD Powder and added some colour and dimension with the Makeup Revolution Baked Bronzer in Rock on World (I love this stuff). I have recently fallen back in love with my Sleek Corrector and Concealer which I used for some of my blemishes and under my eyes. I forgot how much I love this little palette. 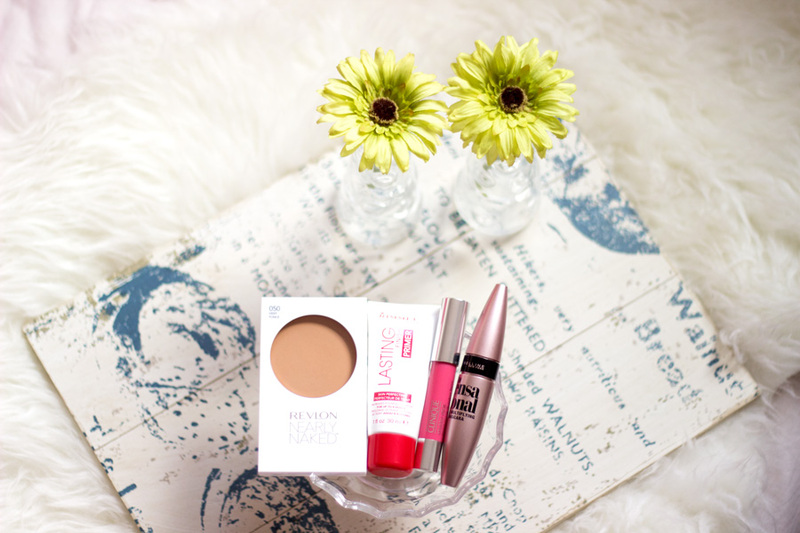 I sorted out the brows with the Makeup Revolution Brow Kit which is not my favourite as I prefer the Sleek Brow Kit but it's nice to switch things up a bit. I knew I wanted my eyes to be the highlight of my whole look so I used the L'Oreal Infallible Colour in Purple Obsession which is such a gorgeous bright purple base. I could get away with just that on my lids but I whipped out my NYC Broadway Palette in Smokey Green (long time no see!) and opted the lighter purple shade on the lids. I went in with the burgundy/dark purple in the middle to define my crease and the darkest purple (almost greyish black) on my outer V. For Blush, I used the Kuddy Blush Crush Palette (again!) but I used the light peach pink shade (the one that already has a dent) as it's my favourite shade. Since my eyes were colourful, I decided to keep the rest of my face pretty neutral to avoid looking like a clown. 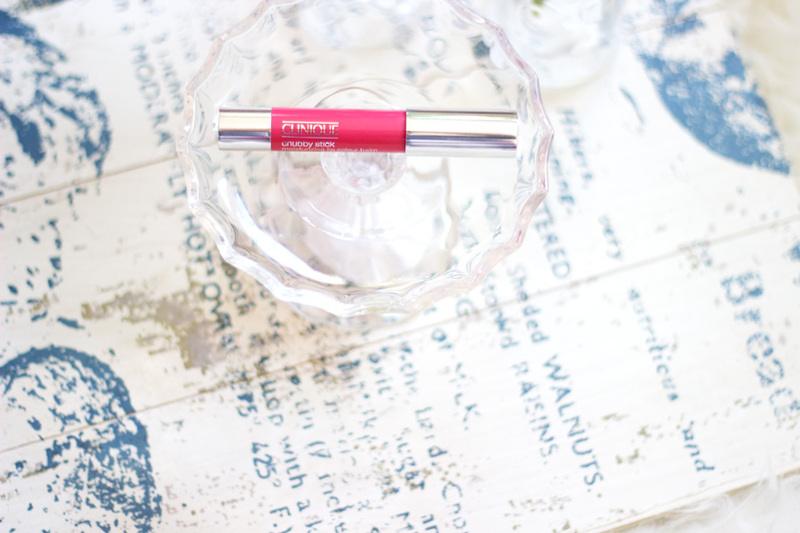 For Lipstick, I went with the Kate Moss Lipstick in 03 (alleged dupe for MAC Velvet Teddy) and topped it off with the Kuddy Smoothie Lip Gloss*. I actually really liked this look a lot and I think purple looks flattering on me. I was so lucky to receive this in a Latest in Beauty Box last year and even more lucky to get it (again) in February's beauty box. This is just a sample size but it is a very generous one at 30 ml. The one I had in September is just about to finish which means it has lasted me for 6 months and I am well impressed. 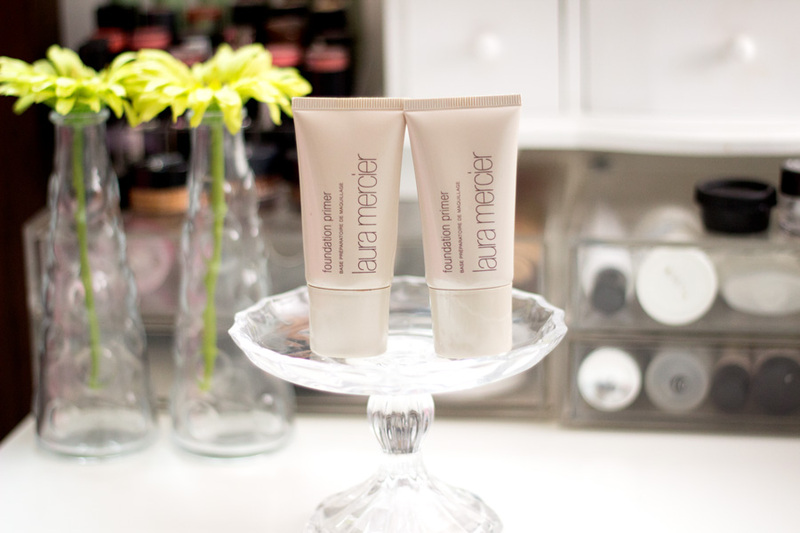 It is one of the best primers I have ever tried. 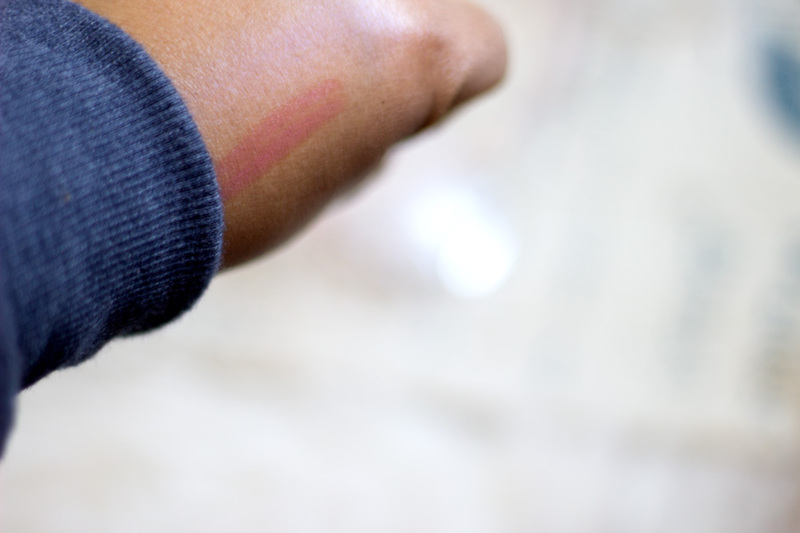 It smooths out my skin, controls oil/shine and acts as a perfect canvas for my foundation. The full size is pricey but I think I may just close my eyes and purchase it once and for all when these two samples eventually run out. I have a full review here if you fancy a read. Although this is a new entrant, I have used this so many times that I fear it will get finished soon. I love everything about it starting from the shade match down to the finish. It's a really beautiful foundation and it's one I reach for often. It offers medium to full coverage depending on what coverage you are after. It is so long lasting and looks really natural. I particularly love that it has a demi- matte or velvet finish with a hint of glow which makes my skin look/feel healthy. 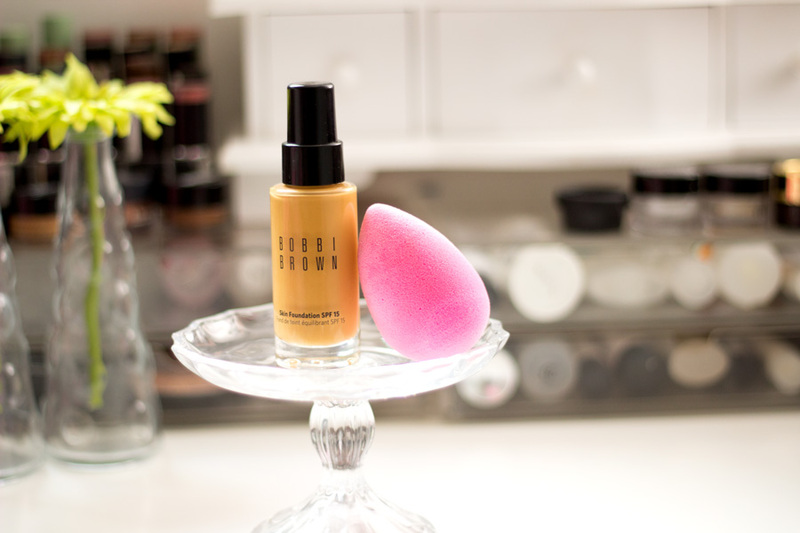 I apply this with my Beauty Blender or Real Technique Blending Brush and it is ever so easy to blend due to its light creamy texture. I really can't fault this foundation at all and I am so pleased I got it. Once this done, I will be repurchasing another one because it's juts amazing. I have a full review of this foundation over here. I haver no idea why this has never been featured in its own post on here because I have used this consistently for a complete year. It is definitely the best brow concealer I have ever used. It has two sides; a medium coverage and a full coverage section. Honestly, both sides offer really good coverage and it feels so creamy to touch and a dream to blend in. I use the medium coverage side to clean up my brows and highlight my brow bone and I cam't think of any day that I have not used it. 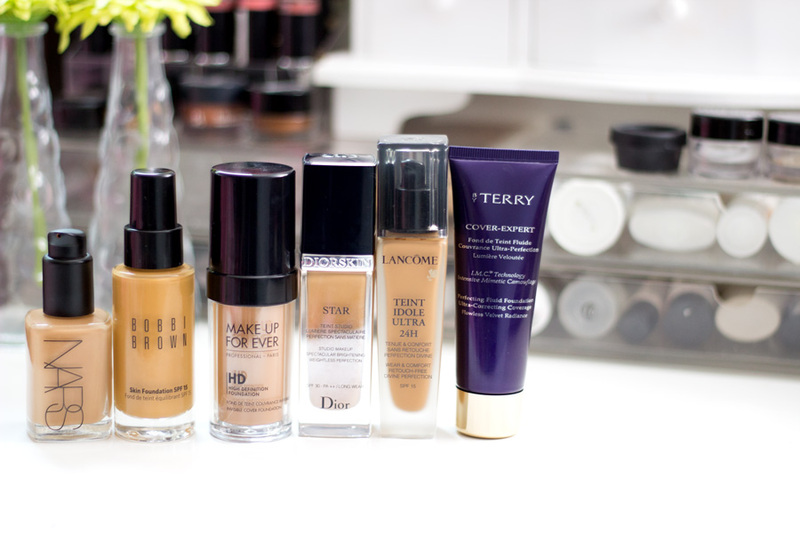 I recently started toying with the full coverage side and it is seriously amazing at covering my dark blemishes. I use it as a colour corrector/concealer and it reduces the amount of foundation and time I have to spend on my face. I am definitely going to order a few back ups because it is incredible. 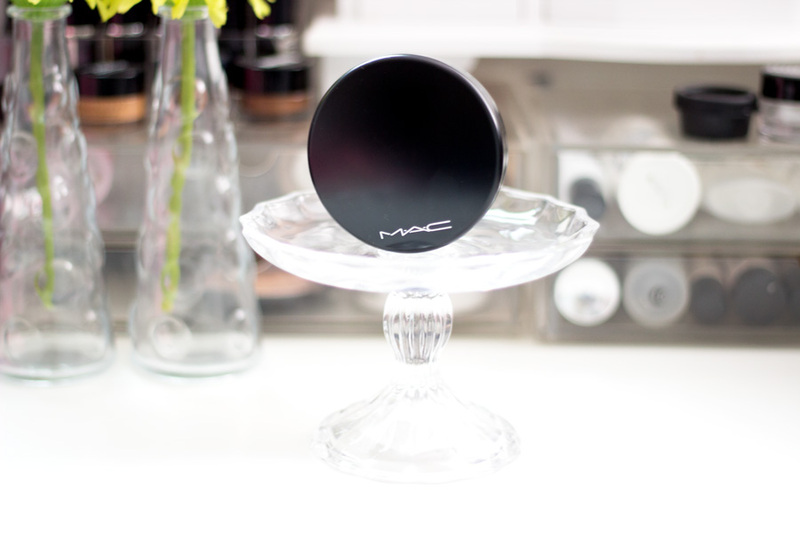 I honestly don't think there is any powder that comes close to the MAC MSF. This is actually my third pan and I don't think I will stop repurchasing it unless MAC makes something better or another brand does. It just transforms my face and it does not really matter what foundation I use because this powder just ensures it looks flawless. It is one of those products that can be used for a variety of purposes. 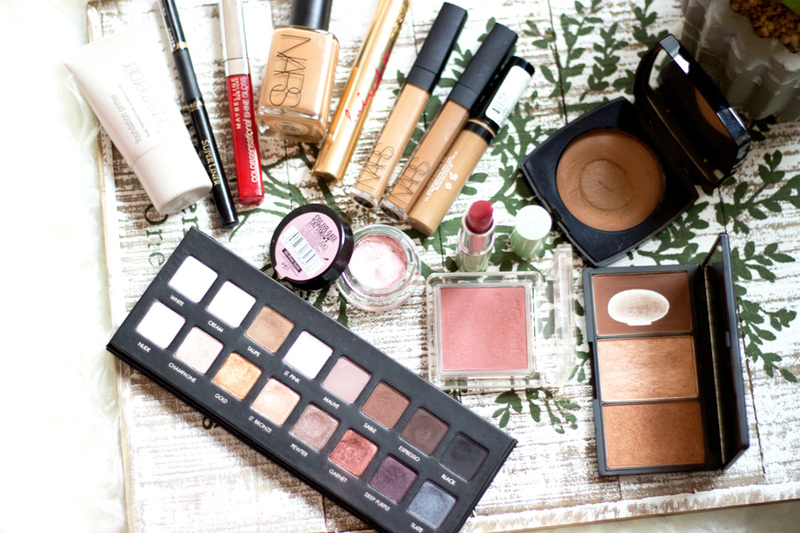 It can be used on a no-makeup makeup day because it is so natural. 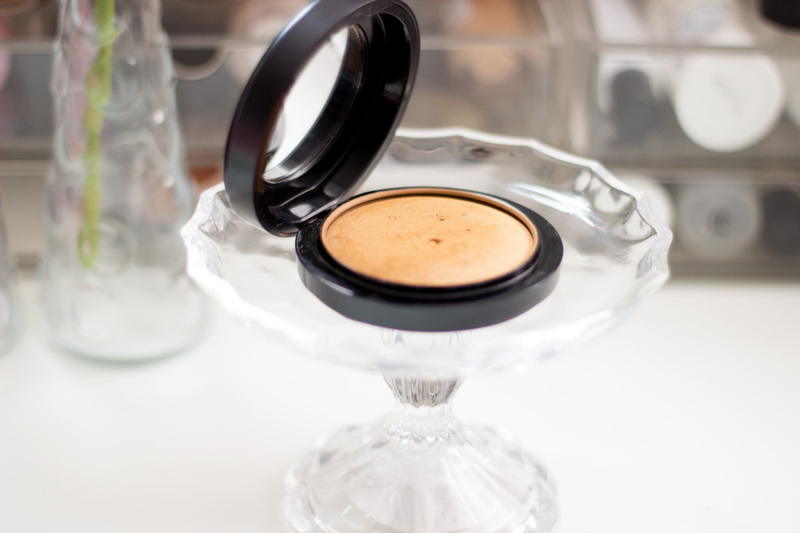 It can be used as a setting powder and an all over face powder and it delivers really good results every time. 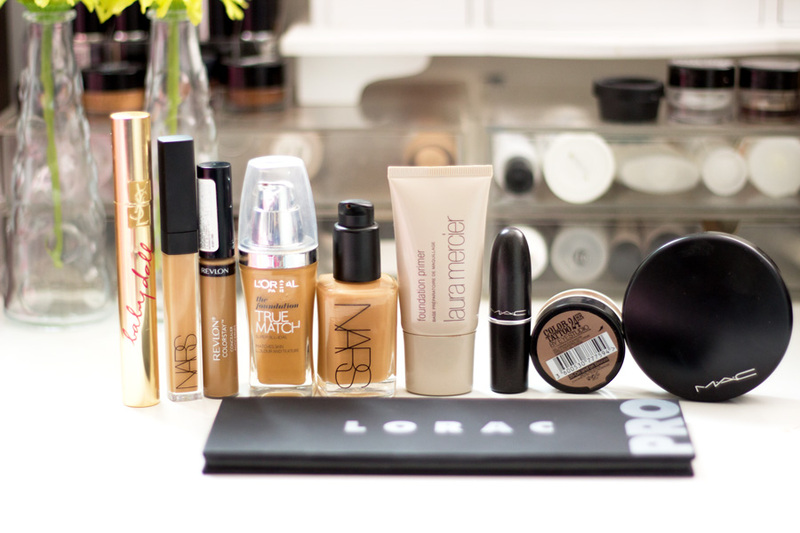 I have paired it with all my foundations and it looks great. Whenever I have a beigey foundation like the Dior Star and Rimmel Lasting Finish, it just makes it much more wearable and warms up skin. I just can't rave about it enough. A full review can be found here. I think MAC Lipsticks are a firm favourite for many people because they are more affordable than other high end brands. There is a wide selection of shades and finishes to choose from and there is always something for everyone. I don't have a huge collection but I really like all the ones I have. Half of them were got via the Back To MAC programme where you get a free lipstick for every 6 empties packages you return to them. I just go through my sister's and cousins' makeup stash, grab their empties, add some of mine and pronto, I have a new lipstick. I am due to get a new lipstick and I don't know which one to get. If you have any suggestions, please comment in the box below. 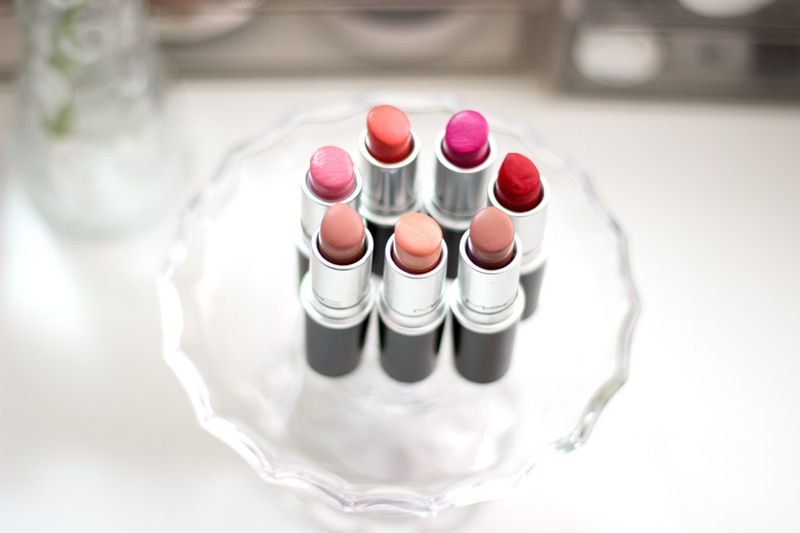 I love all these lipsticks but my favourite shades at the moment are Love Lorn, Shy Girl and Velvet Teddy. 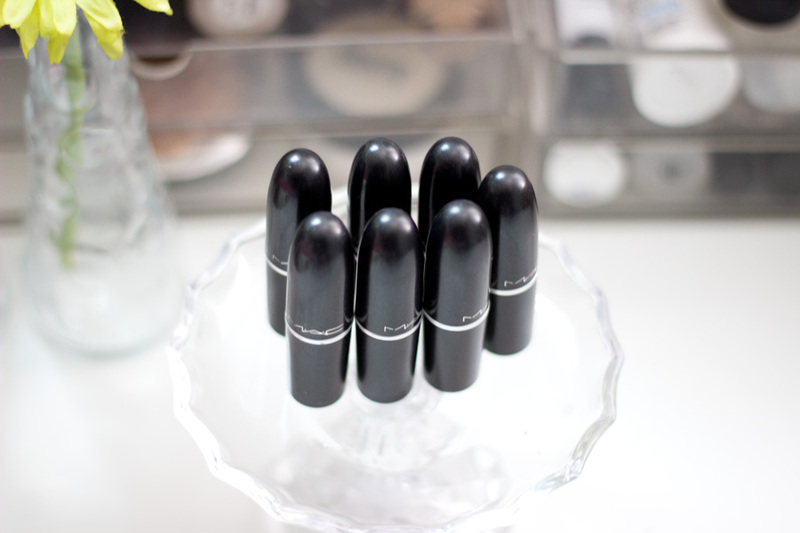 I think I may do a MAC Lipstick Collection soon so keep your eyes peeled. 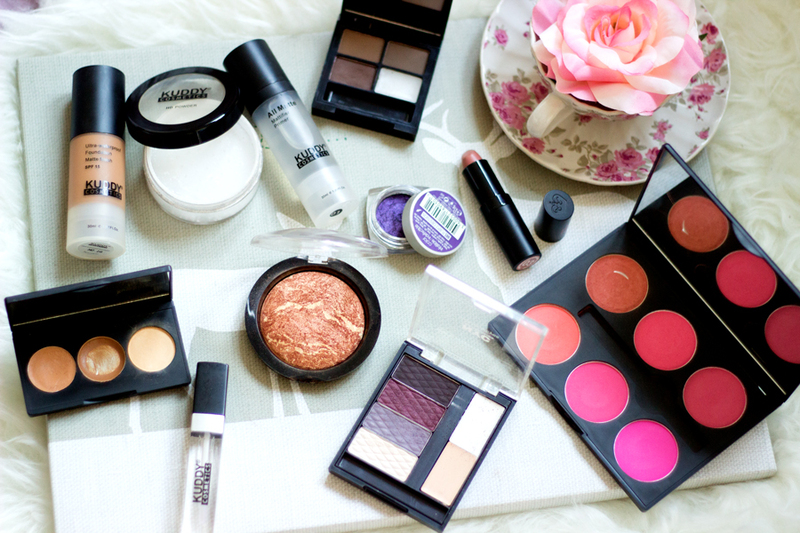 This is also a new entrant to my HG makeup stash but it is surely here to stay. I bought it off the Space NK sales because I was curious to see if it would live up to its name. I am happy to say I have not been disappointed and I wish I bought two instead. It works as an eye canvas for eyeshadow application by cancelling out any discolourations on the eyelid, a primer and it prevents creasing. Since I purchased it, I have not used an eye primer at all because it does everything for me. I don't know of any product that comes close to this but I am keen to find them because I think this Eye Canvas may have been discontinued. I have written about it over here. This is also a new entrant but it is one that has become an absolute staple and holy grail item in my stash. I longed for this palette for agesand when I eventually got it, I was not disappointed at all. Granted, I don't use some of the eye shadows as much as the others but I reach for Taupe, Sable, Garnet Pewter, Bronze and Gold often. 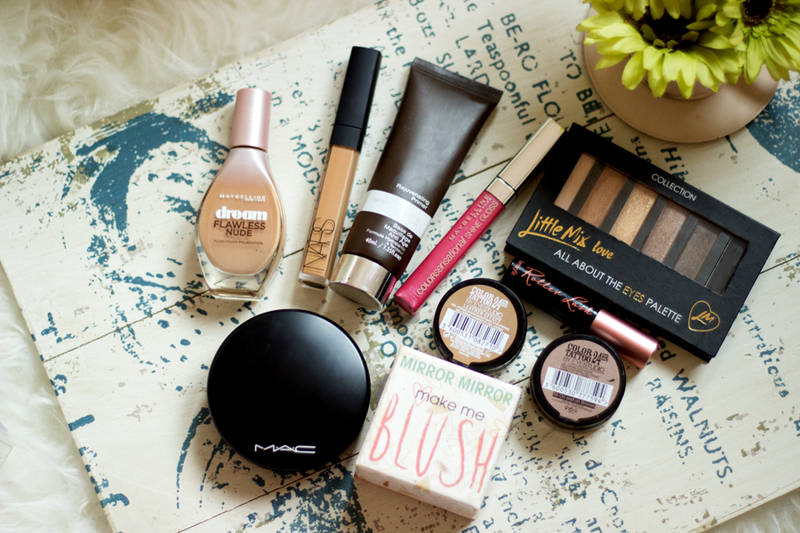 It is just a fantastic palette that can help create various looks from day to night looks and neutral to bright looks. It's a must-have especially for beginners and I can't recommend it enough. The pigmentation is incredible and the texture is ever so buttery. 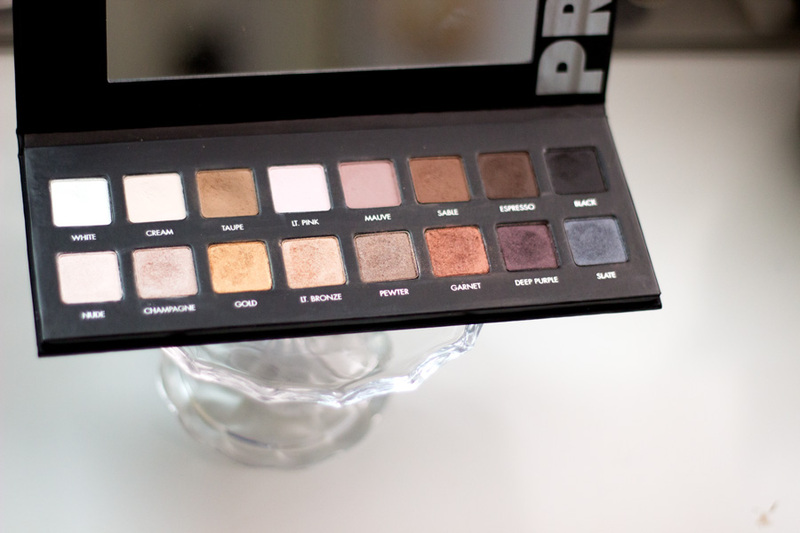 It has 16 eyeshadows in total with half (top row) being matte and the rest (bottom row) being shimmer shades. The matte shades are surprisingly very pigmented and I am so delighted by that. I still get some fall outs from some of the eyeshadows especially Garnet but I have learned to keep it minimal. I have a full review here. This is my absolute favourite mascara and I don't think I have tried any (except the Chanel Sublime) that makes my eyelashes so pretty. The packaging is lovely and eye catching as expected from YSL. 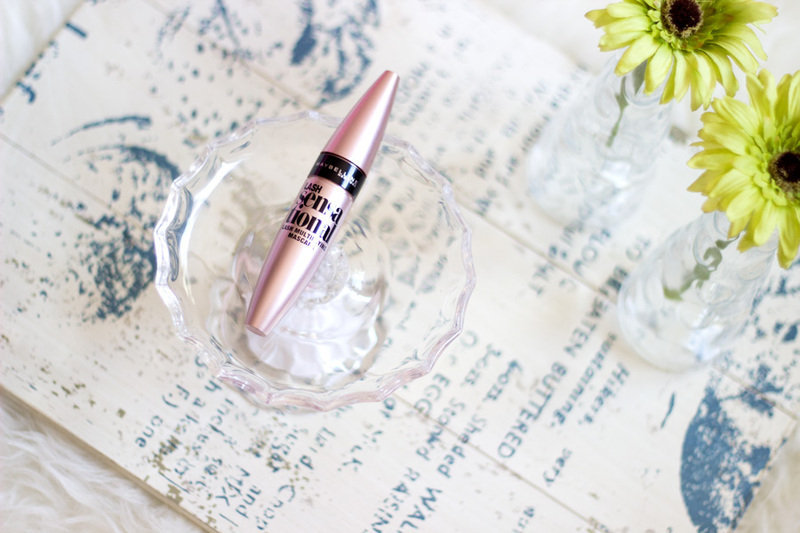 The product in itself is fantastic and ticks all the boxes for my lashes. It lengthens, volumises, holds a curl and does not clump. 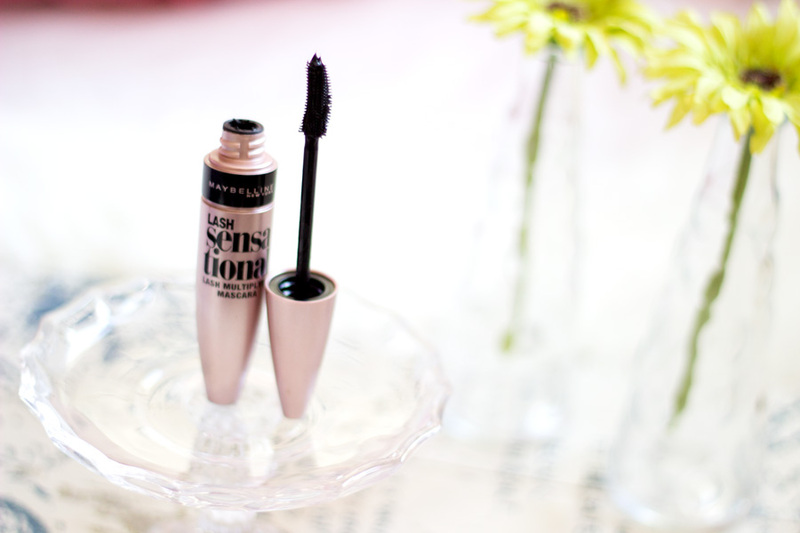 The results are seriously outstanding and I can't help but reach for it every time I wear mascara. I know I will repurchase in a heartbeat once it runs out. I have a full review here if you want to read more about it. 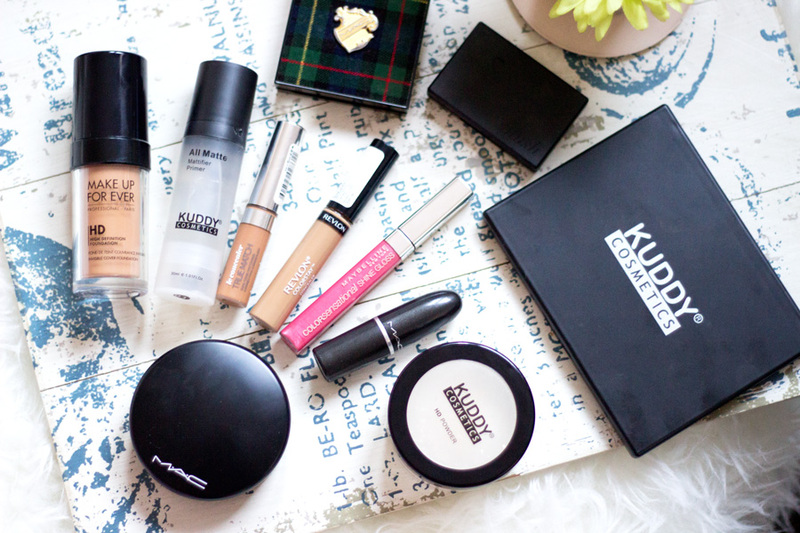 That's all folks and I hope you enjoyed this round up of my Holy Grail Makeup? 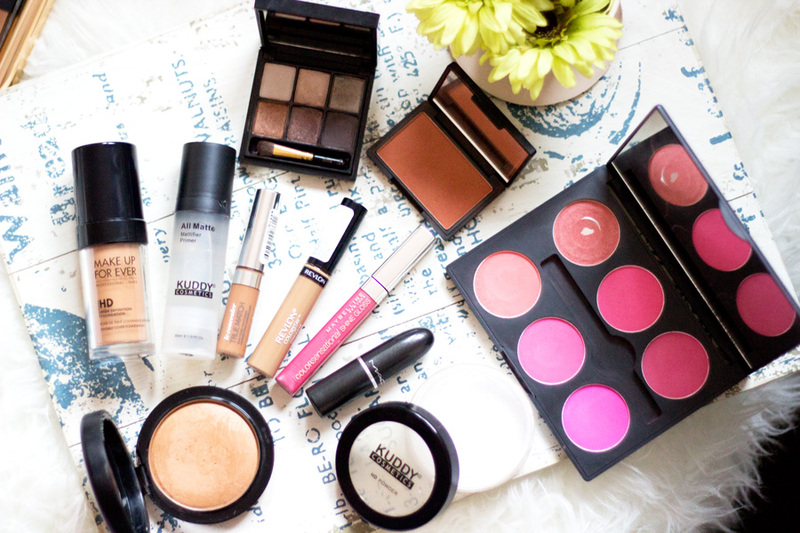 What makeup products made it on to your Holy Grail Makeup List? I really love this foundation especially during Spring/Summer when my foundation has a shorter lasting power. 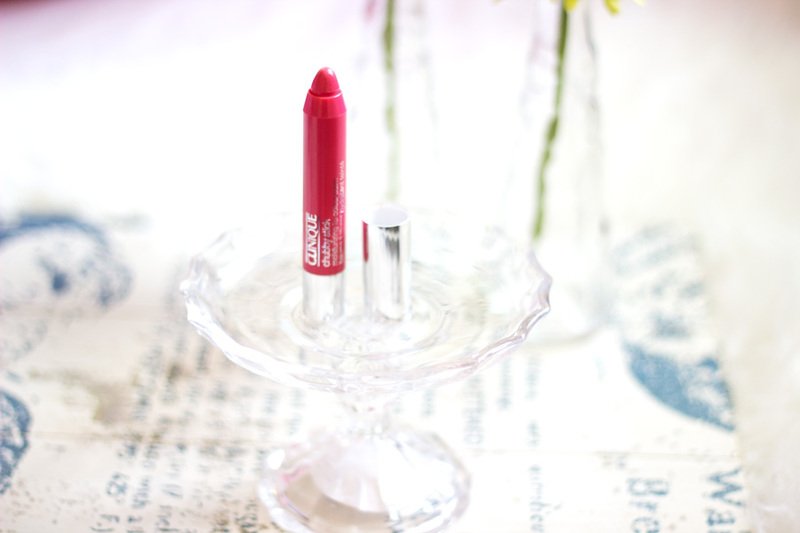 As the name suggests, it feels like second skin and you can hardly tell you are wearing makeup with it. The shade range is fantastic as expected from Bobbi Brown and it matches my complexion really well. I took this with me to Nigeria and I was surprised and impressed at how well it held up in the tropical/humid temperature. It does not offer full coverage but it's more of a medium coverage which can be built up. 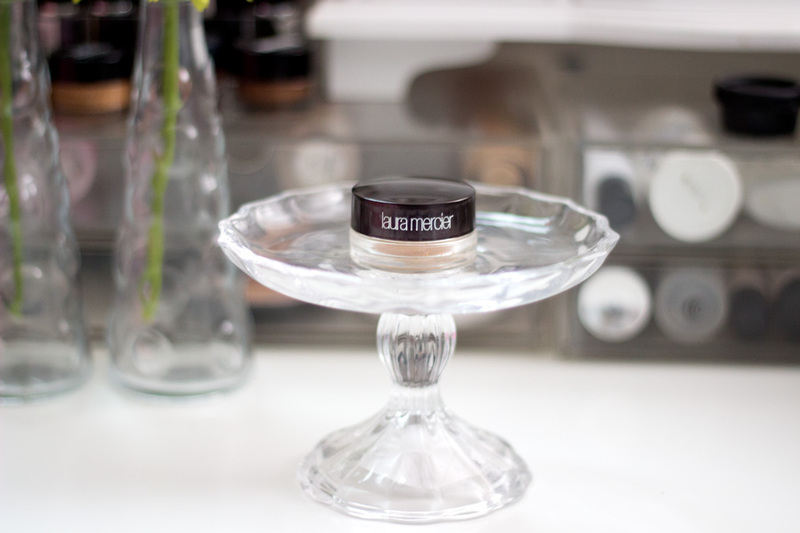 I always need to use a primer, a concealer and a powder to set it to increase its longevity but it's fantastic. I have a full review of this foundation here. 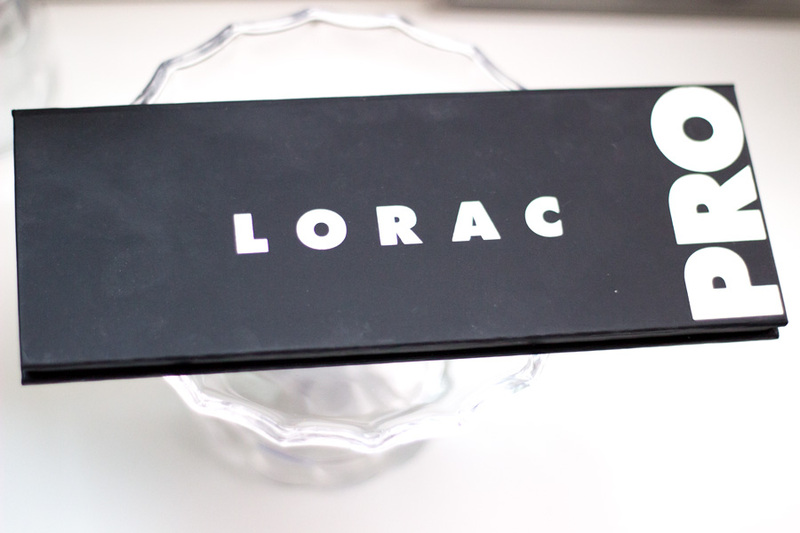 I am pretty sure everyone is a little sick of hearing me rave about this foundation (I just love it, okay?). I only got it during Boxing Day Sales but it has quickly risen to become my one of my favourite and most used foundation. It is perfect for everyday wear and even outings (events). 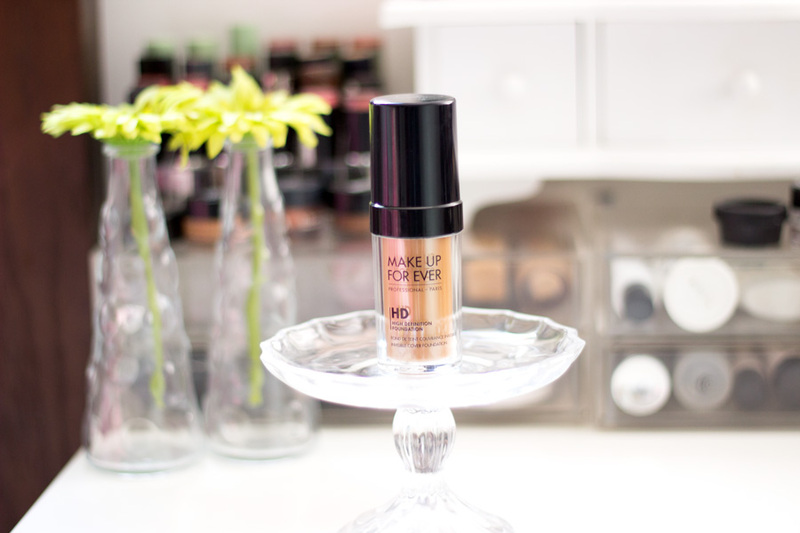 It offers medium coverage which can be built to full coverage without looking and feeling caked on. 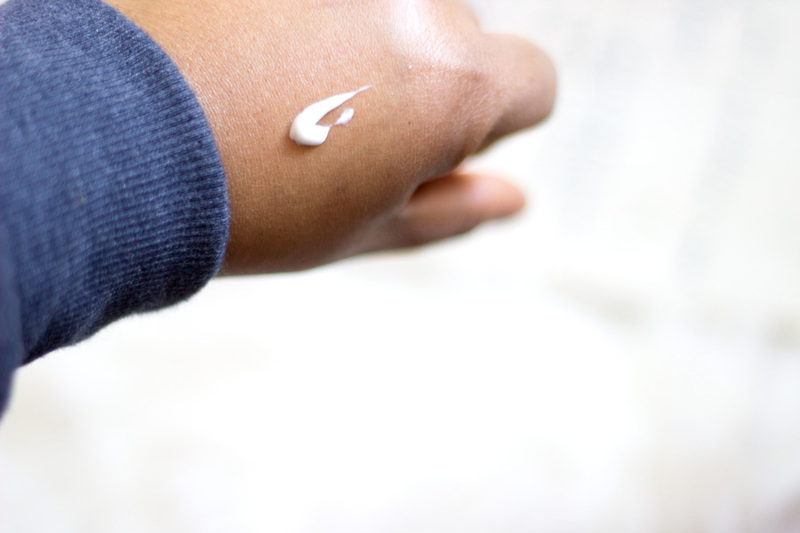 It blends so easily into a semi-matte finish which is fantastic for my combination skin. Most importantly, it lasts so long and controls oil/shine so well that I only need to blot once or twice a day. 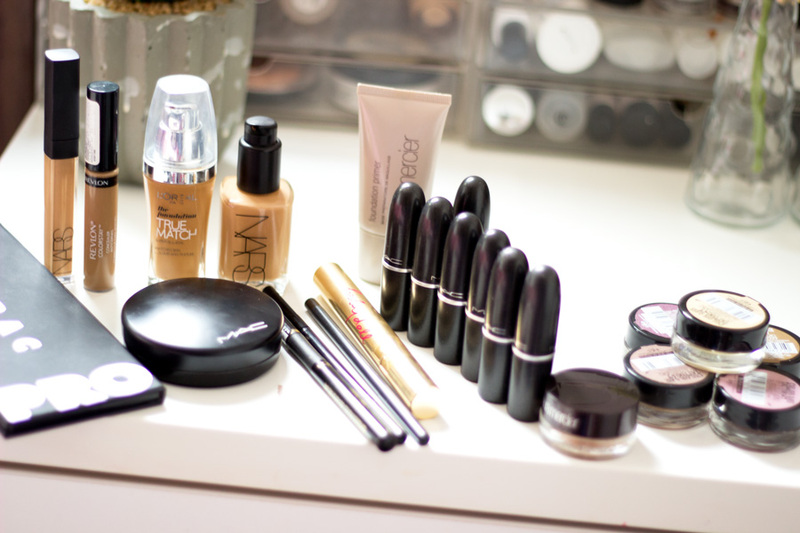 NARS has a wide variety of shades to choose from so you would most likely find something suitable. 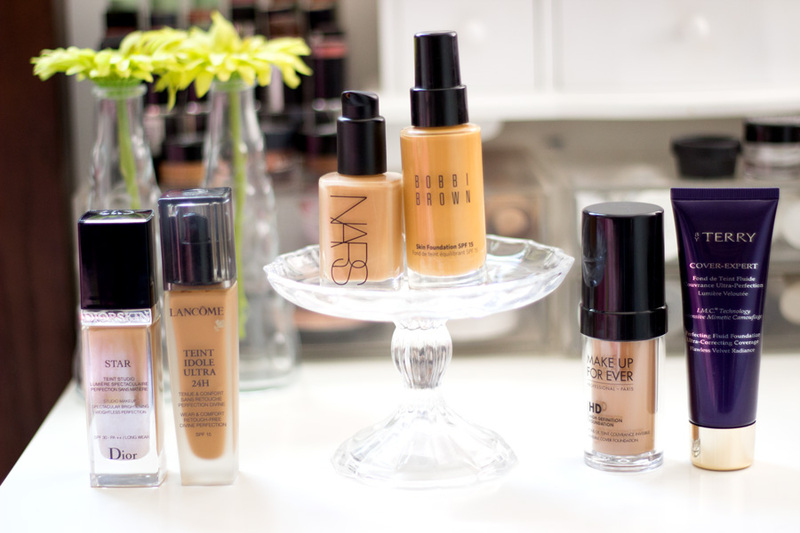 I particularly like that some of the foundations in the range are yellow toned which is perfect for my complexion. This foundation can be used with a variety of brushes including your God given brushes aka fingers but I prefer to use makeup brushes. I have a full review here. I have slowly developed a love-hate relationship with this foundation mainly down to its shade. I am not so impressed as such with the shade range (mainly because other brands have a better range). It has a more neutral and/or Beigey undertone which tends to look a little ashy on my skin tone. However, it looks really amazing when I use a concealer and warm it up to my actual complexion with the MAC MSF in Dark. You would never believe it's a beigey foundation after this. It has this lovely luminous glow and I absolutely love it. 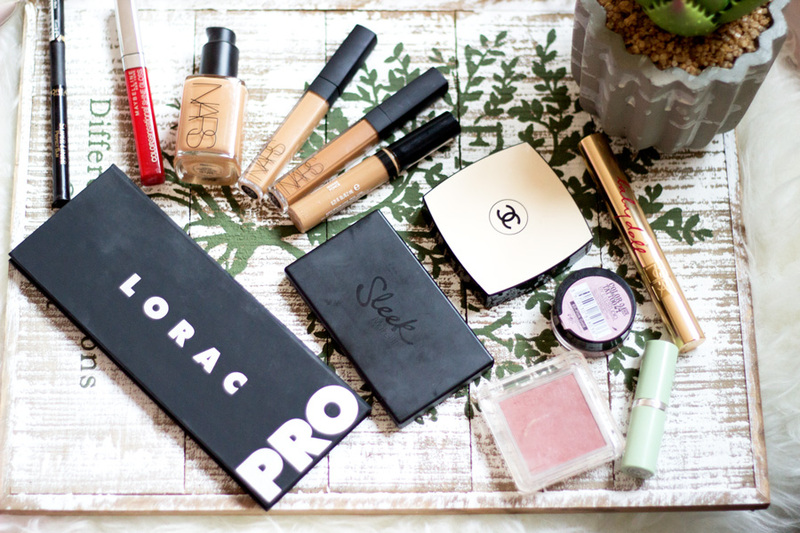 Surprisingly, it provides a really good (almost full) coverage and it's long lasting. I use this mainly for events and evenings out because it really transforms my overall look. A full review can be found here. This was actually my very first high end foundation and I fell head over heels in love with it. I had used MAC foundations for a really long time because I believed there were the only ones that catered to darker skin tones (I didn't do my research). One day, I was in Debenhams and the Lancome Sales lady drew my attention to this foundation. 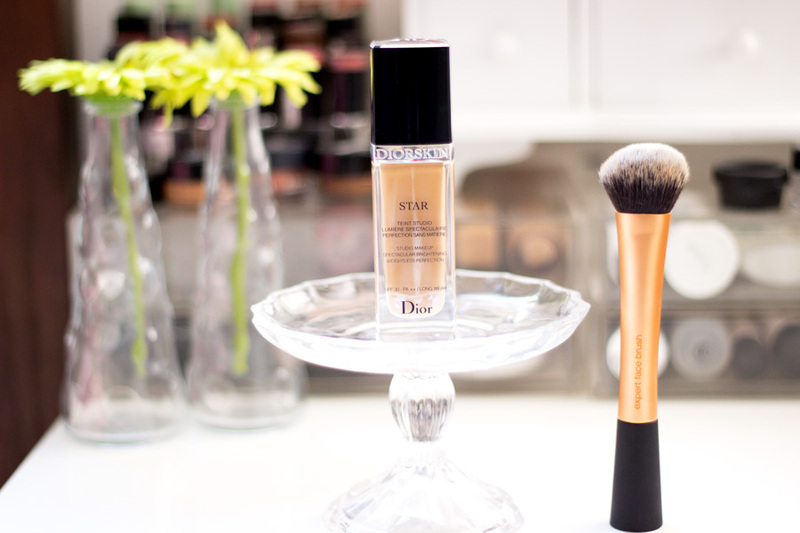 I was so surprised they had a match to my complexion and proceeded for a little makeover. She sent me away with a deluxe sample to try at home and the rest is history. I actually repurchased this foundation a couple of times and this bottle is actually empty. 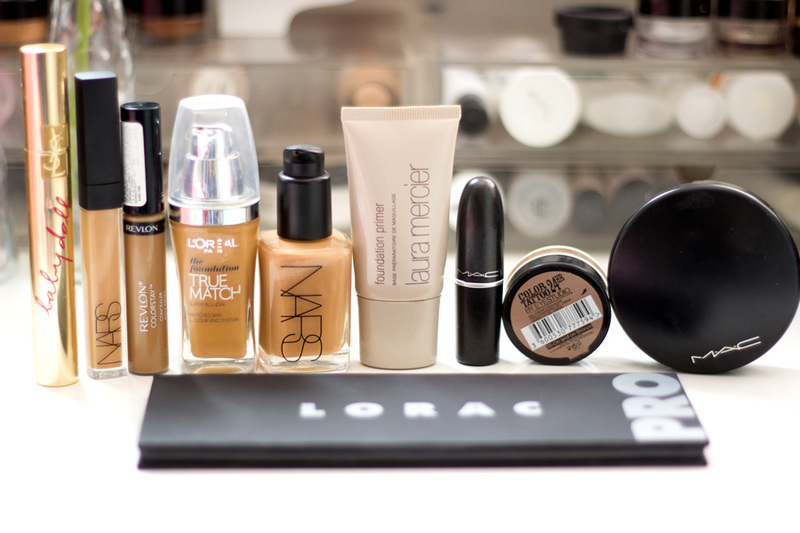 (I put in my custom foundation in the pretty bottle). It feels super light on the skin but the coverage is fantastic. 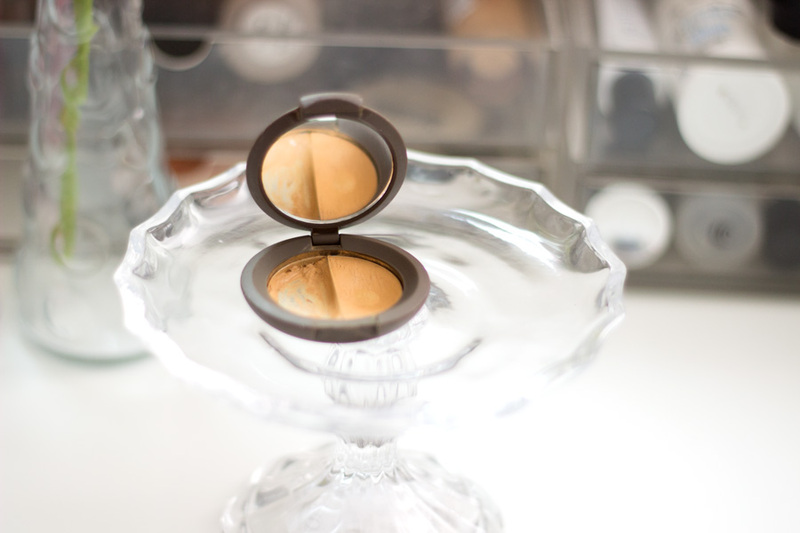 I think it is a medium to full coverage and it is such a dream to apply as it blends really beautifully. 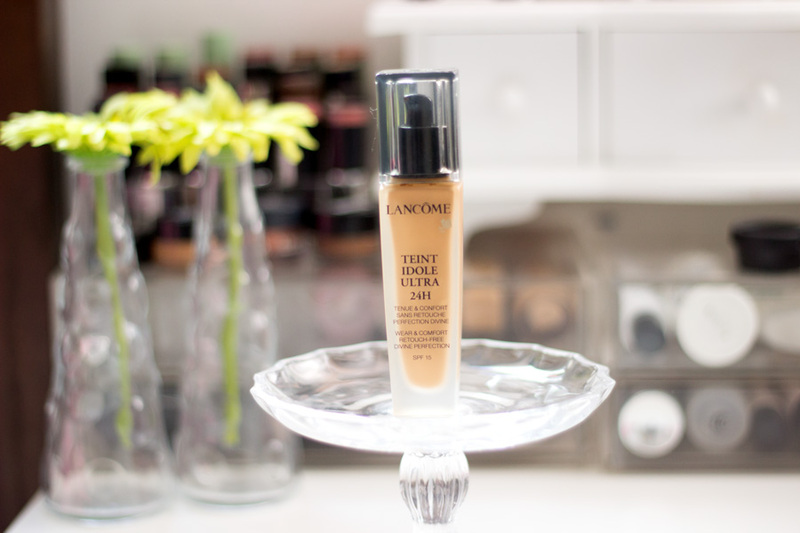 Lancome's claim that this foundation lasts a long time is not a farce at all as it really lasts for a loooong time. I absolutely love it and I would repurchase it again if only I didn't have too many foundations already. This is the newest addition to my stash and incidentally the cheapest (it was on sales). It retails for £45 which is ridiculous but I was lucky to snag it in the Space NK Sales for only £11. 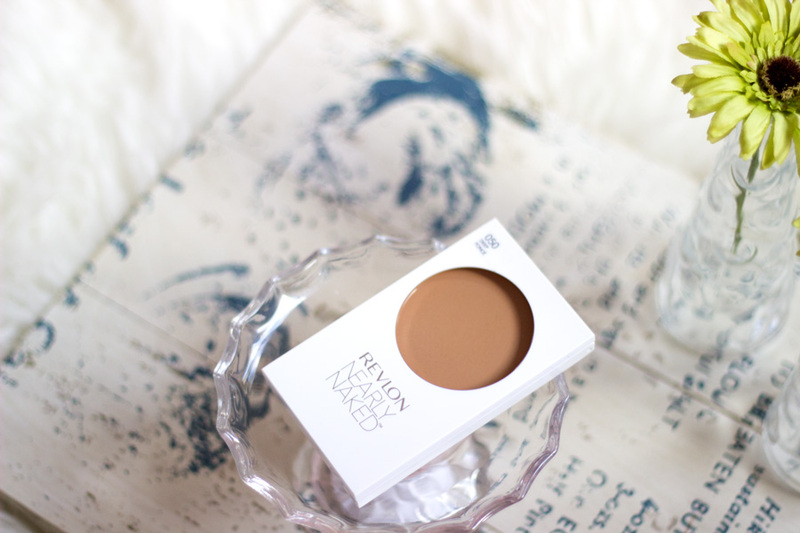 I was really keen to try this foundation from By Terry because I had read some really reviews about it. It lives up to its name (I would say) but I am not sure it lives up to its price. 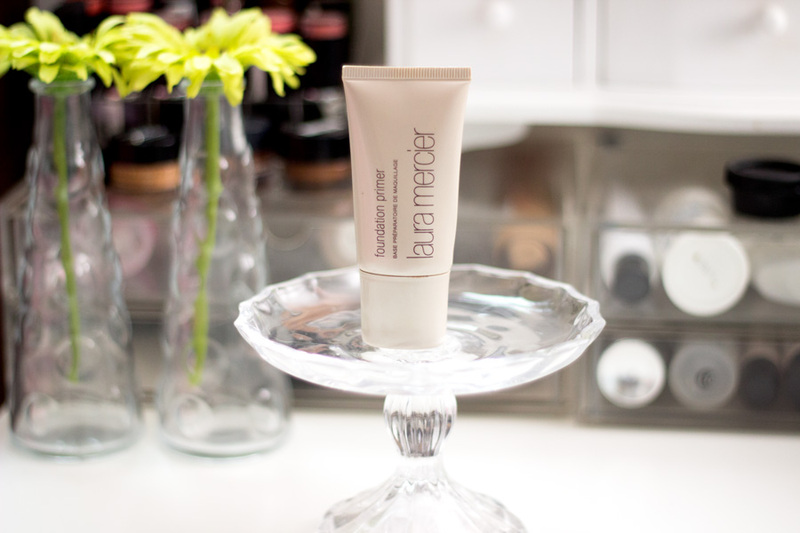 It has the lightest texture among all my high end foundations and as such it is a dream to blend in. It sets really fast so it is advisable to work it in fast. The coverage is really good for a foundation that's so light and I really like it. 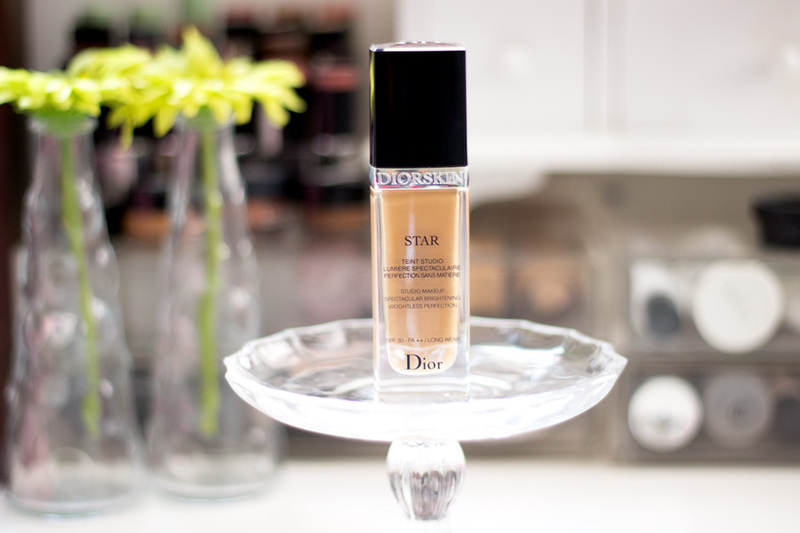 Unfortunately, it is a little dark for me (very tricky buying foundation online especially one you have never tried) but I mix it in with a primer or another foundation (Dior Star) and it looks incredible. I absolutely love how beautiful my skin looks with it. I find that I have to use only very little concealer with this as it does a good job at hiding my blemishes. A full review can be found here. This is the only foundation I purchased full price and I got it during my recent trip to Paris. It has been on my wish list for the longest time and I knew I had to have it first chance I got. 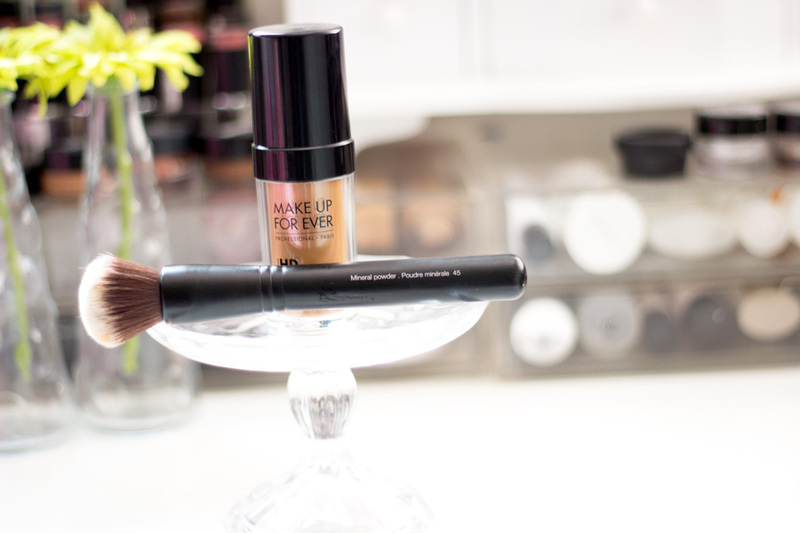 Nevertheless, the MUFE foundation makes my skin look really flawless in photographs and when I am filming YouTube videos. 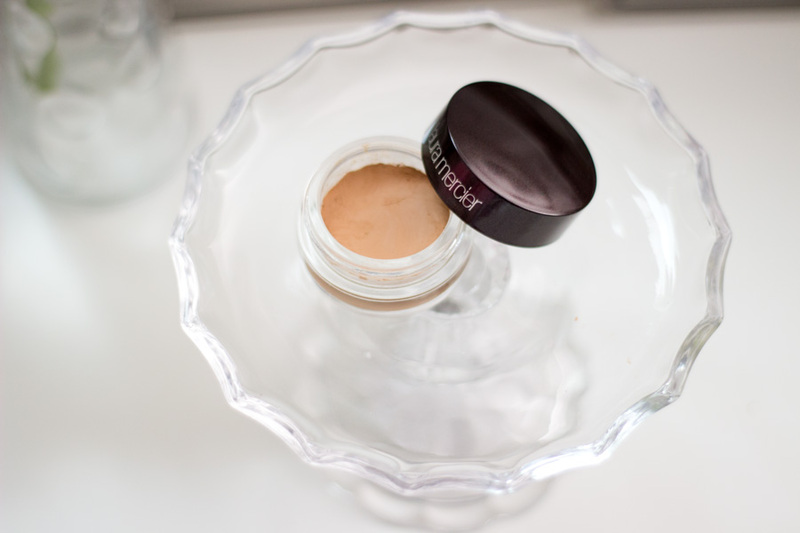 It offers a really good medium coverage which can be built up to a full coverage and it never looks caked on at all. It gives the skin that HD effect which you notice immediately when you take a photo or when you film a video. It is a little bit dewy so I have to use a powder to set it and blot towards the end of the day but it is really lovely. I heard MUFE will be available in the UK in March which means I can try some other products from the range and I am super excited. I have a full review on this foundation here. I know the next question may be; What is your absolute favourite? 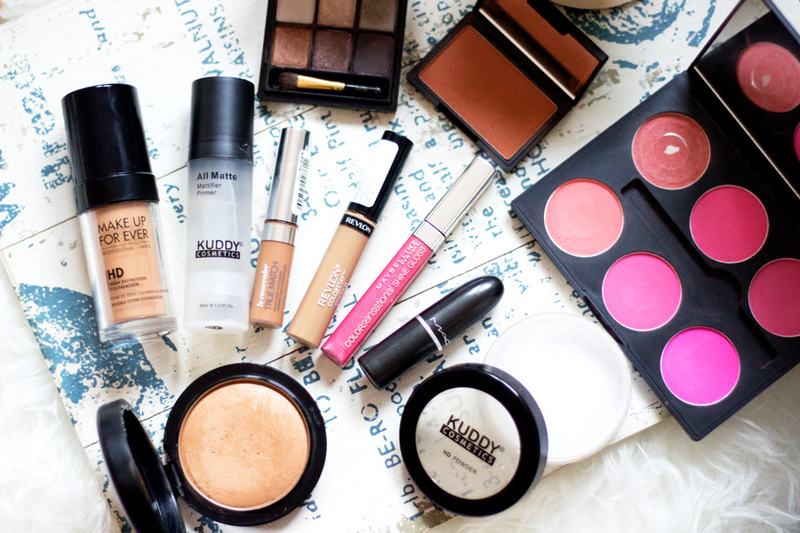 It is very hard for me to choose because I use these foundations for different purposes and occasions and most times, it all depends on how me and my skin are feeling. 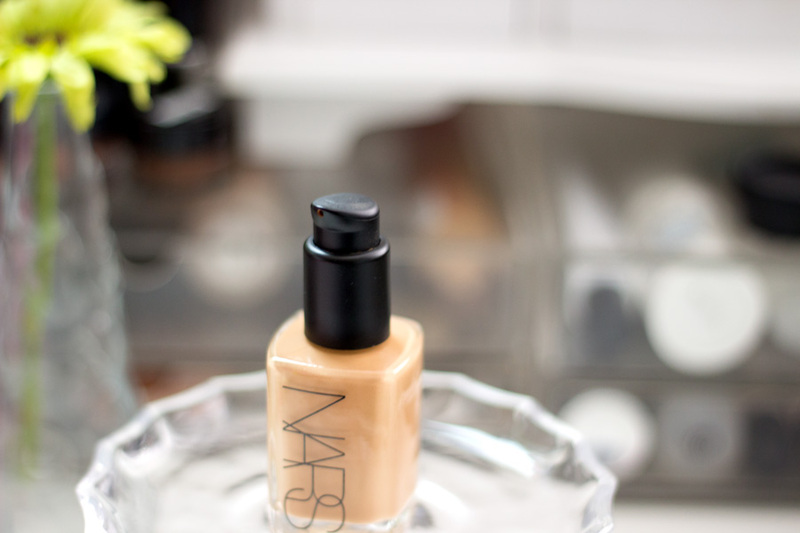 I am inclined to say the NARS Sheer Glow and Makeup Forever HD Foundation are my favourite foundations because they have the best coverage, shade match, finish and longevity for my skin type. Out of the two, I would go for the NARS Sheer Glow Foundation because it lasts slightly longer and it also controls shine slightly better than the MUFE. 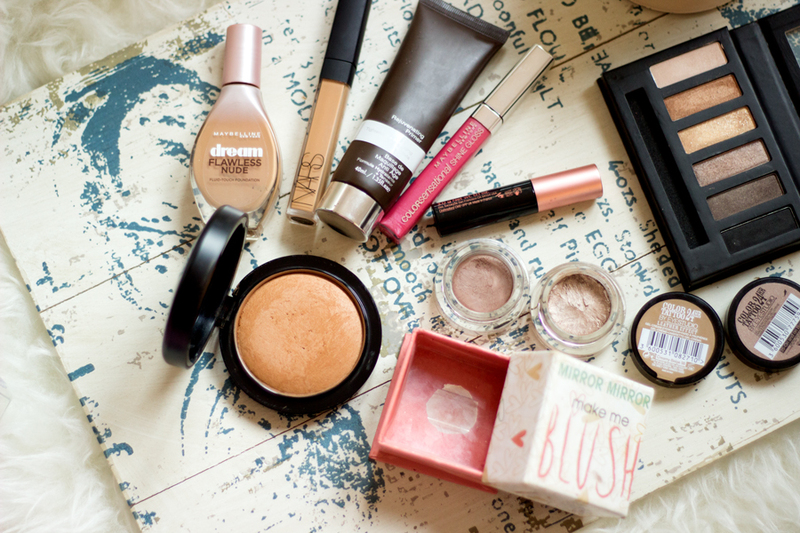 I still have a few foundations I need to try but I am on a foundation ban at the moment so I have to keep my eyes shut. 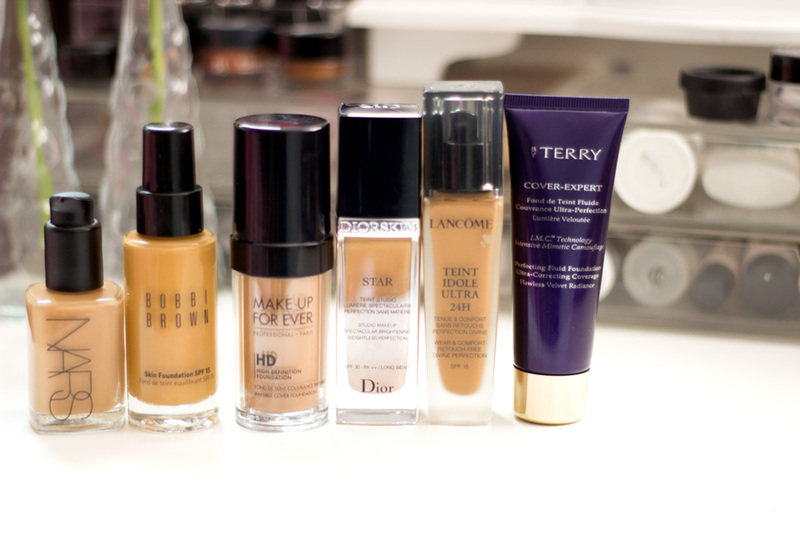 That's it folks..what's your favourite high end foundation and have you tried any from my collection? I have been on the haunt for a good drug store powder to pop into my makeup bag. 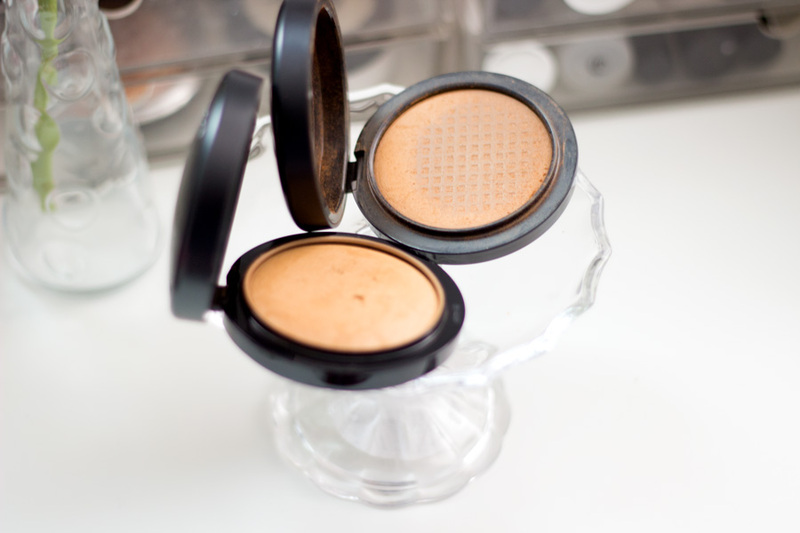 I still have my Chanel Les Beiges Powder (review here) and MAC Mineralize Skin Finish Natural (review here) but I just wanted something with a lighter coverage. Most times, I don't really need to do a massive amount of powder touch up except to take away the shine. I find that using my MAC MSF adds more colour to my face which I don't necessarily want. I finally found the Revlon Nearly Naked Powder and I am impressed with it. 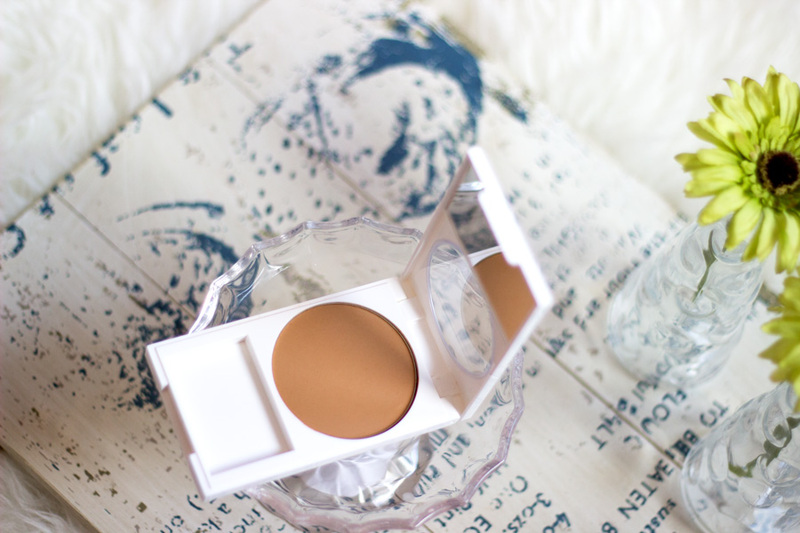 The shade match is fantastic and it does not add any more coverage to my face which I like. Instead, it just takes away the shine and complements my makeup making it look natural. The only snag is the packaging (it's white) is a pain to keep clean because the powder particles lightly swirl on the edges on application. It absolutely does my head in and I literally have to wipe it every time I use it (I cannot stand messy makeup). I still like it a lot and will use it till it runs out as it's a great touch up powder. I think I may have already talked about this on Monday here. I got this Maybelline Lash Sensational Mascara after reading a few reviews and seeing it plastered everywhere in the drug store. To be fair, it is actually a nice mascara for every day wear especially if you prefer a mascara that holds a curl. 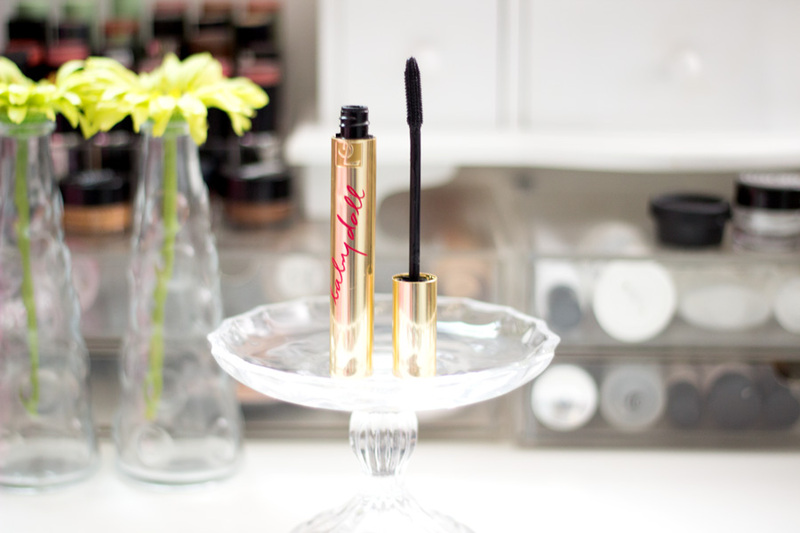 I prefer lengthening mascaras and any mascara that lengthens with some volume is a winner in my book. It does a decent job of lengthening but since my lashes are short and curly, I need something with more oomph to make my lashes look longer. 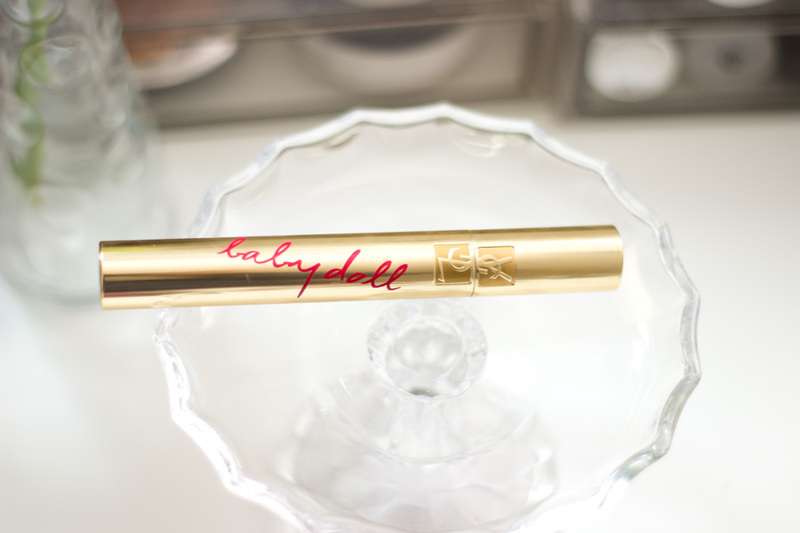 I still use this mascara but it's not one I reach for everyday or one I would repurchase. 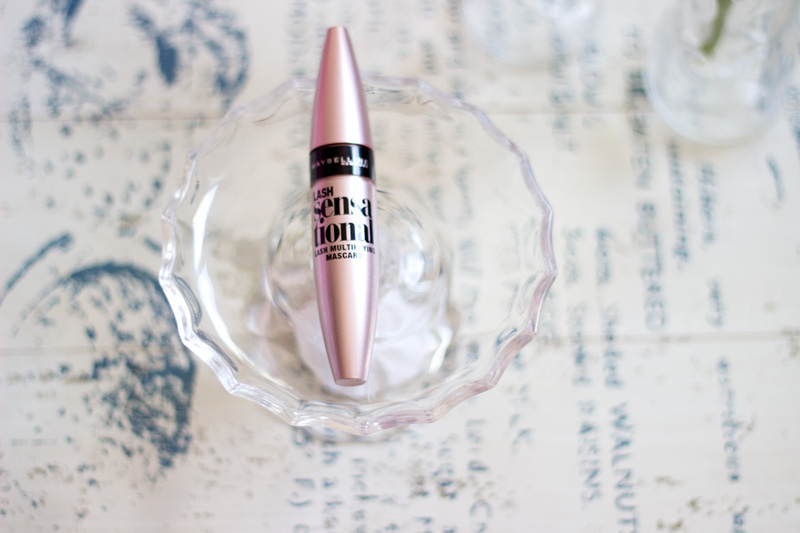 If you want a good drug store mascara that holds a curl, I think this is one to check out as people have compared it to the Benefit Roller Lash Mascara.